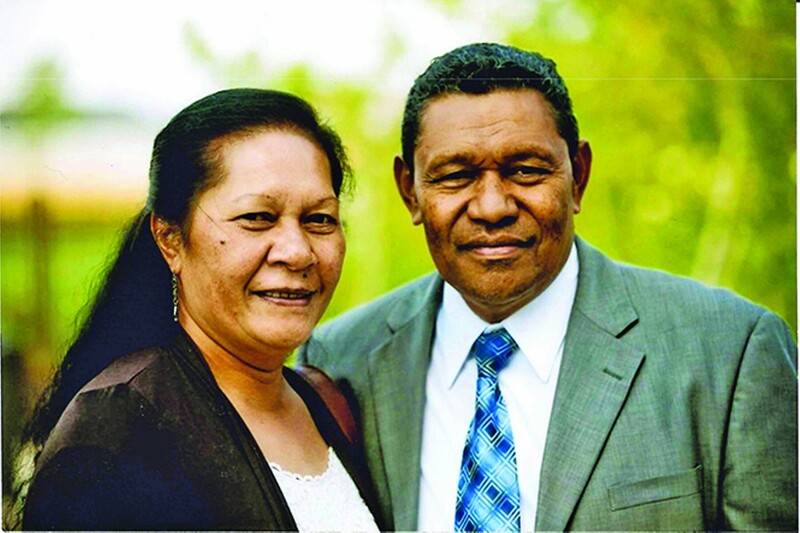 Two decades ago, Polynesian immigrant Pepa and his wife Meridian Taufui started a journey toward becoming one of Utah's best examples of an iconic humanitarian, philanthropic couple. They migrated to America, became citizens, got jobs and raised a family. Today, they are pillars of kindness, generosity and hope to many of Salt Lake City's homeless families. It wasn't easy, but these thankful transplants have shown how important immigration can be to the growth of a kinder Utah—and America. How did you get involved with The Road Home shelter? Around 20 years ago, my wife Meridian and I began volunteering at The Road Home homeless shelter for the Thanksgiving holiday. Eventually we did it along with several of our nine children. At some point, I thought maybe we could do a little more. So, I called around and got some local businesses to help us by providing discounts for pizza and a movie in order to treat shelter clients with something different for the holiday. But then your efforts started to grow. I made a few more phone calls and found that the people at Le Bus would be willing to provide transportation. Then others offered to help. Some employees at Varian Medical Systems, where I work, joined in and we expanded the program, first to dinner and a movie, and then to a bigger activity and then dinner. At times we've been to Chuck-A-Rama and the Maverick Center, but more recently we've been going to the Loveland Living Planet Aquarium in Draper, followed by dinner at Golden Corral in Midvale. How big has this gotten? This year, 2016, thanks to help from Le Bus, Golden Corral, the aquarium, management at Varian and other private contributors, we were able to provide 180 adults and children with a five-hour Thanksgiving experience. We now have 19 members on our program committee, including 10 fellow Varian employees. Before all the help, you and your wife got this program started by yourself. How did you get to this point? I grew up on the island of Tonga. At age 22, I got a work permit and immigrated to California. My wife immigrated, first from Samoa to American Samoa, and then to the Bay Area of California. That's where we met. Due to Ronald Reagan's support of the Immigration Reform Act, we were given the opportunity to become American citizens, which we did in 1988. Eventually, we moved to lower Mill Creek, where the Utah cost of living and job opportunities enabled us to buy a house and begin to give back.